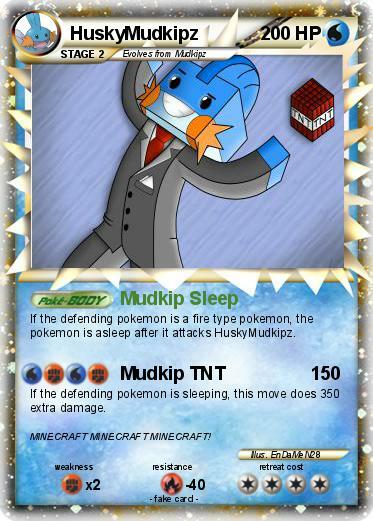 If the defending pokemon is a fire type pokemon, the pokemon is asleep after it attacks HuskyMudkipz. If the defending pokemon is sleeping, this move does 350 extra damage. Comments : MINECRAFT MINECRAFT MINECRAFT!